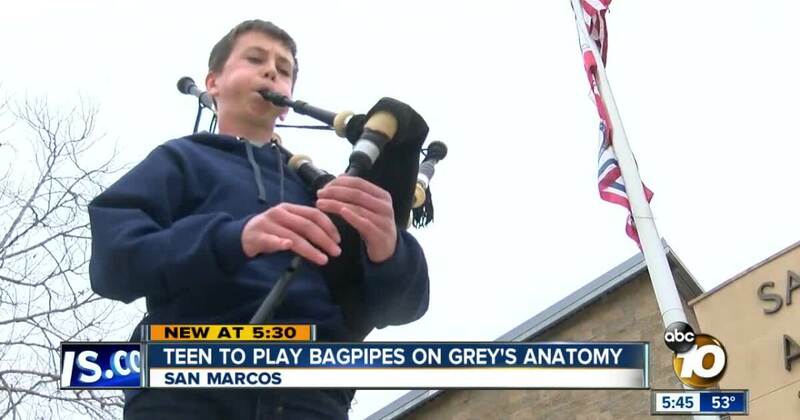 A North County teenager with a unique hobby playing the bagpipes will be featured on Grey’s Anatomy. Jeff Lasky 10News speaks with the teen about how he’s overcoming a rare genetic disease. A north county teenager with a unique hobby playing the bagpipes. He’s so good that he’s about to be featured on an episode of Grey’s Anatomy.